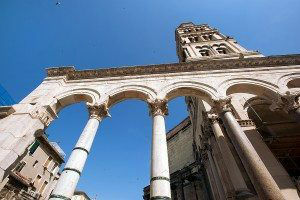 Cruise into the city of Split on a crewed yacht charter along the coast of Croatia at the turn of the 21st century to explore the ruins of the Palace of Diocletian built at the turn of the 4th century AD, approximately 1600 years ago. Now a UNESCO World Heritage Site, one of several along this very historic coastline, this site is well worth seeing while on your crewed yacht charter. A crewed yacht charter in Croatia is a mixture of beautiful water, many islands, and a green coastline. And strewn throughout all are the remains of a long and varied history reflected in the architectural ruins of many cultures across the centuries that are highlights of this coastline. Here at Northrop and Johnson Yacht Charters, we think that the Palace of Diocletian is one of the highlights not to be missed. 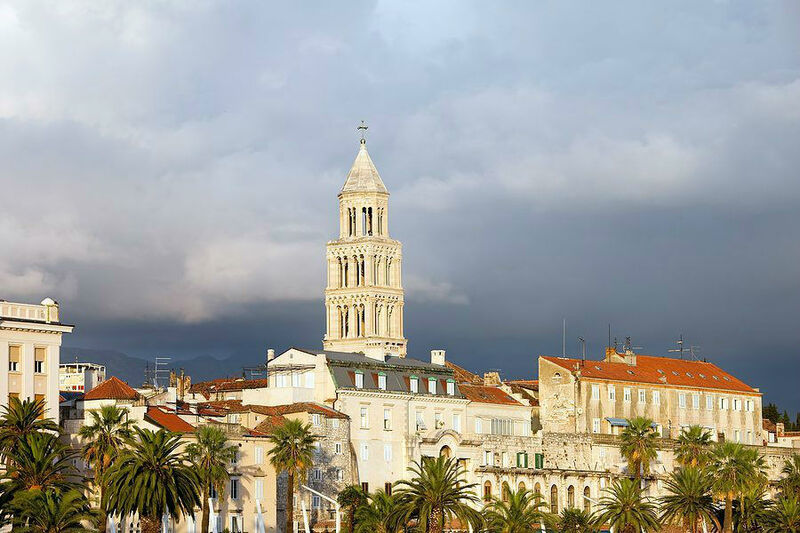 Built as a retirement location, Diocletian designed this palace to be located along the crystal clear waters of what is now the Croatian coastline as a lovely seaside home far from civilization. The town of Split grew up within and around the palace walls, as this was a structure built originally for 9000 inhabitants. Over the centuries, locals continued to create their home within the palace walls and now today there are still homes and shops that are anchored into the structure and there to stay. the Romans abandoned the structure the locals remaining moved into the fortified walls for protection, thus establishing the long history retained. 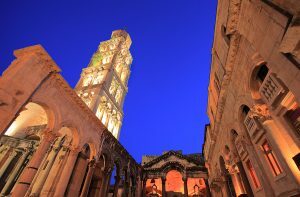 Stop in Split and wander the interior streets and alleys of the palace remains or perhaps have a private guided tour arranged, however do be sure to see this UNESCO World Heritage while on a crewed yacht charter along the coast of Croatia.